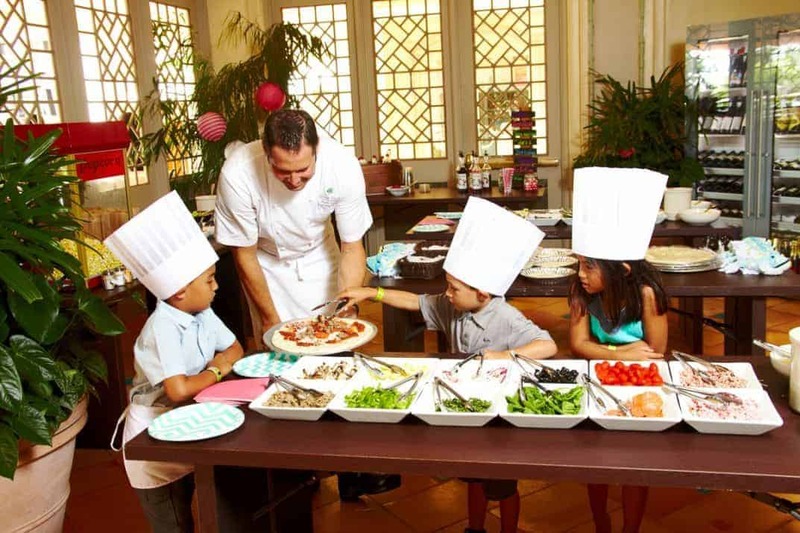 These 11 hotel cooking classes designed for children range from a few hours to a week’s commitment. In more exotic destinations, the kitchen is an excellent place for easy cultural immersion and to pique children’s curiosity and their appetites. 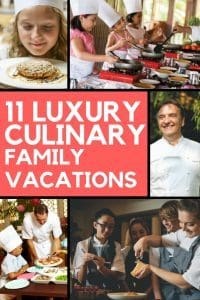 Kids should learn to travel and cook well. 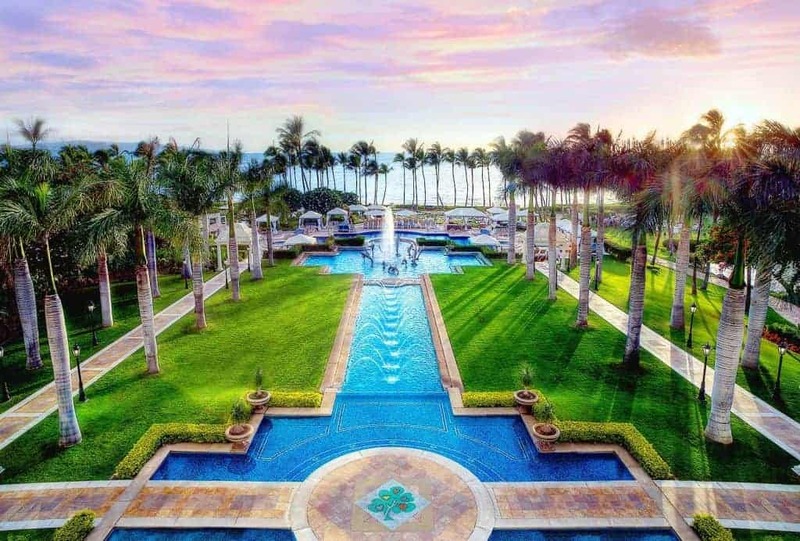 The Grand Wailea is a Waldorf Astoria property known for some of the best family pools in Hawaii. Photo courtesy of the Grand Wailea. The Grand Wailea is known to be a family-friendly haven on the island of Maui. 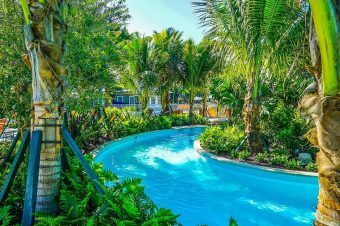 This Waldorf Astoria property has water slides and pool areas to keep kids happy. But the Play with Your Food program at Café Kula lets the younger kids do the cooking under the supervision of the chef. They’ll make the kid fantasy menu of pizzas, ice cream sandwiches, and Italian sodas. This is a weekly event from 5 to 7 P.M. on Tuesdays and cost approximately $55 for a family of four. This Costa Rican resort near the Pacific Ocean with views of the rainforest offers, by request, a cooking lesson for children 12 and older to learn the history of the local dish, gallo pinto, and prepare it with the hotel’s cooking staff. For $40, each child receives instruction in the tortilla and gallo pinto classes and a chef’s hat. Los Suenos Marriott Ocean & Golf Resort has been called one of the world’s best resorts for families by Travel & Leisure. The Hotel Metropole Monte-Carlo offers family friendliness while enjoying the pleasures of the French Riviera and Monaco. Photo courtesy of The Hotel Metropole Monte-Carlo. 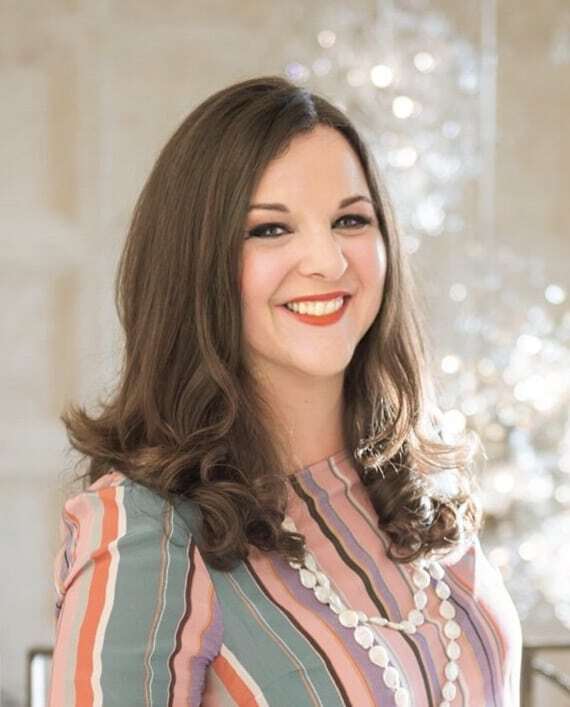 The Hotel Metropole Monte-Carlo leads young children in cupcake decorating and chocolate making by the pastry chef at the hotel’s Joël Robuchon restaurant. Photo courtesy of The Hotel Metropole Monte-Carlo. Learning to bake from the best may instill in your kids a life-long love of making— not just eating— pastries. The Hotel Metropole Monte-Carlo offers the “Les Petits Chefs” program led by Patrick Mesiano, head pastry chef of Joël Robuchon. Children bake and decorate cupcakes and customized chocolate eggs and receive a Little Chef apron ($125 per child, aged 6-10). This Monaco hotel also offers a kids’ club and extensive family amenities including personalized children’s robes for their youngest guests. The Ritz-Carlton Westchester offers a sweet cooking lesson with the hotel’s pastry chef called the Crème de la Crème Junior Chefs Academy. This 90-minute lesson for teens aged 11-18 costs $100 per child. Private groups are also available for birthday parties or for guests willing to pay the six child minimum. My kids were able to participate and make homemade apple tarts after an extensive tour of the hotel kitchens. The hotel kept our desserts and offered to deliver later with our room service dinner. With a swim in the hotel pool, it was a perfect mini-break with monogrammed aprons to take home. Read our full feature. The Four Seasons offers local cooking experiences at many of its Asian resorts that include short, interactive classes for children. The adult version of these involve market tours escorted by the resort chef in the morning or evening in addition to instruction in state-of-the-art cooking facilities. The Rim Tai Kitchen at The Four Seasons Resort Chiang Mai. 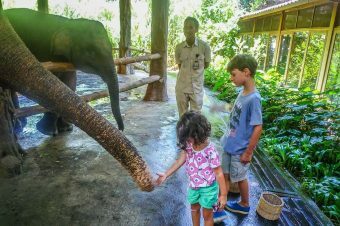 Photo courtesy of The Four Seasons Resort Chiang Mai. The Four Seasons Resort Bali at Jimbaran Bay offers a Sweet Skills class with the pastry chef who teaches Balinese dessert making. The Jimbaran Bay Cooking Academy offers several courses for adults, too, while the kids enjoy the kids’ club. 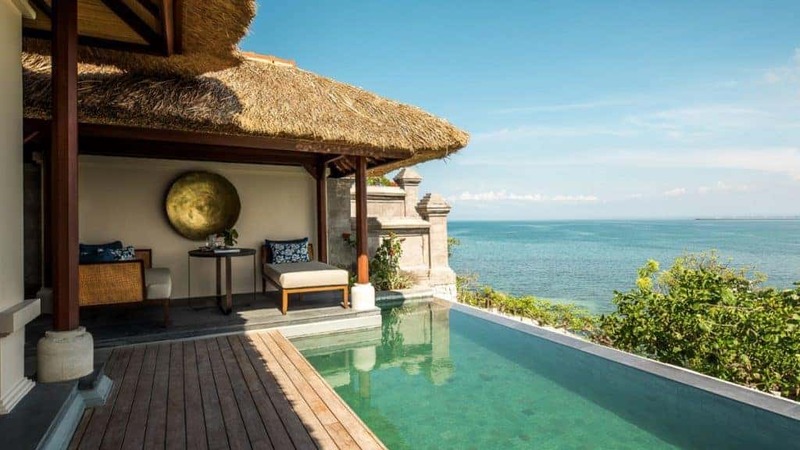 The Four Seasons Resort Bali at Jimbaran Bay is known for its secluded villas, offering its guests privacy. Photo courtesy of the The Four Seasons Resort Bali at Jimbaran Bay. where well traveled parents can advise one another on the best places to stay. 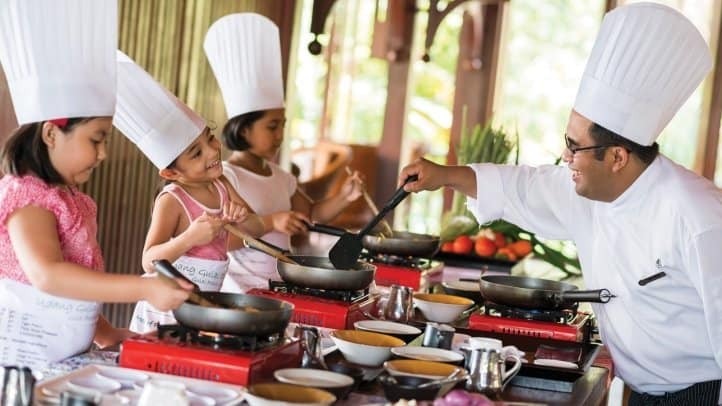 The Four Seasons Resort Langkawi Malaysia offers a junior version of their Master chef experience with Chef Mat Nor for children aged 8 and 12. All ingredients are prepped in advance to allow the focus to be on the fresh and new ingredients for the class. 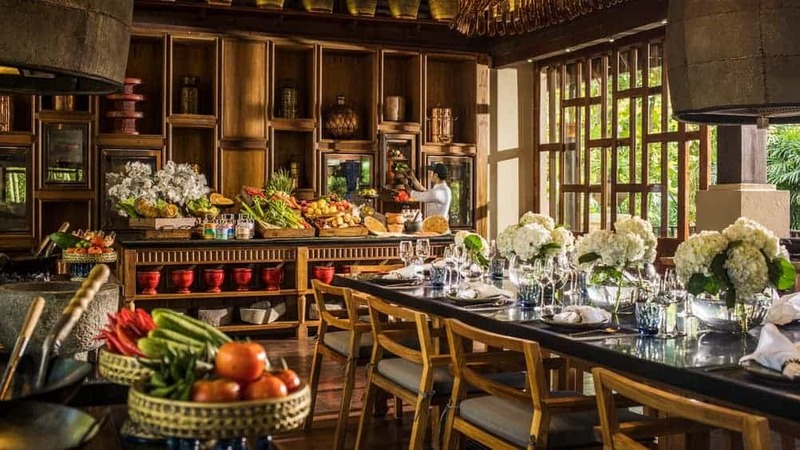 The Rim Tai Kitchen at the The Four Seasons Resort Chiang Mai offers a shorter version of their adult program as well from 3 to 5 P.M. My most gastronomically fluent cousins raved of the adult program and food, and I have wanted to go ever since. You can read her review of her cooking school experience and see the beautiful creations students prepare. Photo courtesy of the Kwandwe Private Game Reserve. A country known for luxury safaris probably knows a thing or two about cooking meats over open fires. 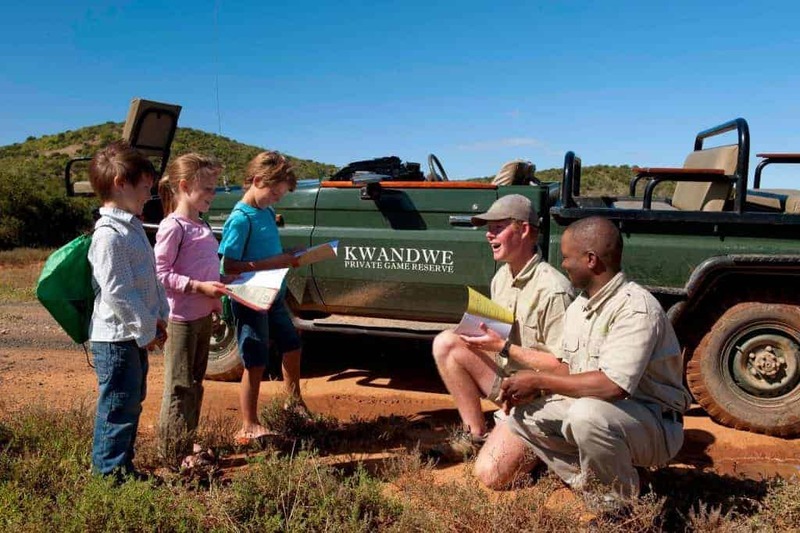 Kwandwe Private Game Reserve offers a culinary package integrated within a traditional family safari. Those interested rent exclusive use of Melton Manor, which has a beautiful, open farmhouse-style kitchen for a minimum of three days. Children are welcome and can be included in this family package that must be booked for a minimum of three nights. Kwandwe provides three sessions with the culinary team to learn about preparing authentic South African ‘braais,’ which is Afrikaans for grilled meat. Raymond Blanc is Britain’s most famous and critically acclaimed chef-turned-hotelier who founded Belmond Le Manoir aux Quat’Saisons. 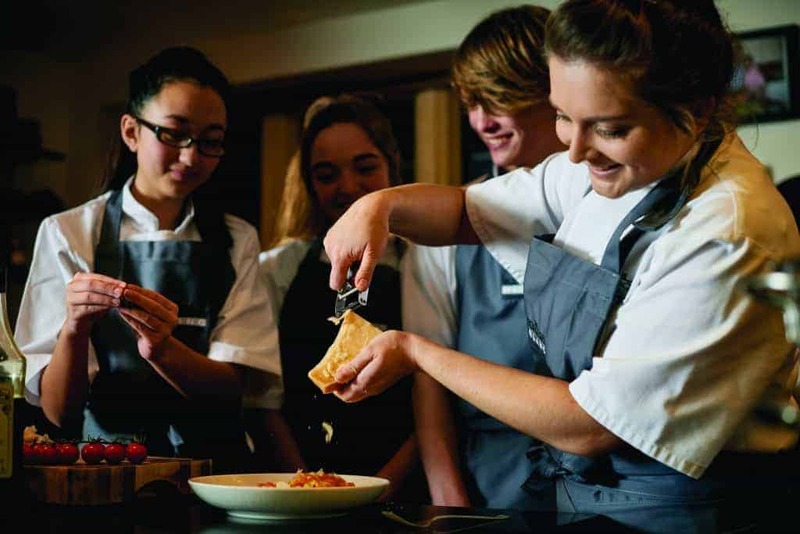 The cooking school on site offers an extensive course catalogue with many designed for children at his luxury Cotswalds boutique hotel that could only be described as magical. Belmond Le Manoir aux Quat’Saisons. Photography by Paul Wilkinson Photography Ltd. The “cookery school” as they call it in Britain offers courses for parents and children to take together for those aged 7 to 12 and courses for children to take themselves from ages 10 to 16. Courses typically run for the morning or afternoon and cost £185 per child. The hotel is within easy reach by train from London. It’s probably, for me, the most exciting train journey after the real Hogwarts Express. Belmond Le Manoir aux Quat’Saisons offers the Raymond Blanc Cookery School in Oxfordshire. Photo courtesy of the Belmond Le Manoir aux Quat’Saisons. 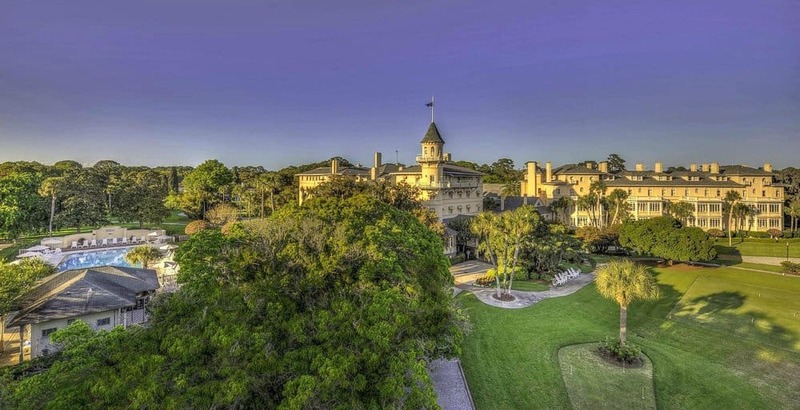 The Jekyll Island Club is a historic oceanfront property along the coast of Georgia. Photo courtesy of the Jekyll Island Club. The Jekyll Island Club, a historic resort among the Golden Isles of Georgia, offers a three-night cooking camp package every summer that offers two mornings of instruction and a few fun family experiences during downtime to visit the nearby Summer Waves Waterpark and Georgia Sea Turtle Center. The chef and team give cooking instruction two mornings and one afternoon, and the camp culminates with a buffet dinner and reception prepared by campers. This camp is designed for children aged 8 through 14. 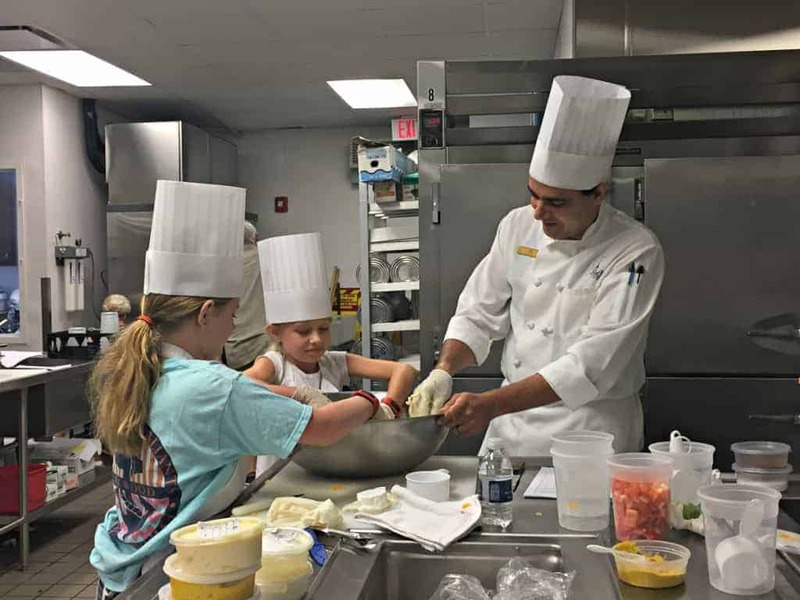 The Jekyll Island Club in the Golden Isles of Georgie offers an annual three-night cooking camp for children. Photo courtesy of the Jekyll Island Club. The Biltmore Hotel in Miami’s Coral Gables neighborhoos offers a more intensive week-long summer camp for children aged 9 though 16. Kids are grouped by age (capped at 15 students) and work side by side with the professional cooking team from 9 A.M. to 2 P.M. every Monday through Friday. In the afternoon, families can lounge at the most beautiful resort pool in the world or partake in more lessons in tennis and golf. 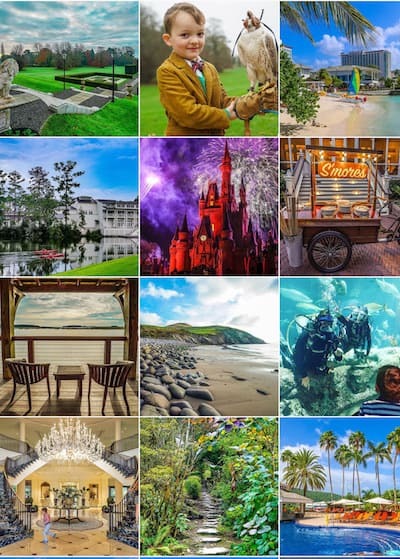 The Biltmore’s programs are incredibly popular with locals in Miami, too, so you must plan ahead. Cost is $520 for the week. We loved our stay, check out our photo feature. A pool view from the cabanas, popular for many mom escapes. Here’s to raising future foodies and getting a night off in the kitchen!